VIDEO: Watch Sen. Mitch McConnell use a pen made out of hemp to sign off on the final version of the Farm Bill…which legalizes hemp. Southern University has given Advanced Biomedics until next Thursday to pay $2.15 million to the university and make progress on its medical marijuana growing operations, warning the company in a letter that otherwise the university would be “forced” to pick someone else to run its program. In two separate rulings Wednesday, Mexico’s Supreme Court effectively set binding precedent that ends the country’s prohibition on marijuana use, possession and cultivation. Hetzer is available for live and taped interviews in English and Spanish to provide analysis on this groundbreaking ruling, which paves the way for national legalization in Mexico. The Southern University partnership with Advanced Biomedics (AB) to produce and process therapeutic Cannabis or medical marijuana for the Louisiana patient population is woefully behind schedule. Given that the state of Louisiana opted to have the fewest number of producers in the country among legal medical marijuana (mmj) states, this situation creates yet another serious problem for the larger program. With LSU’s partnership having recently harvested their first crop, this puts the mmj supply in the hands of a sole source provider or monopoly. Monopolies tend to only be good for one entity – that which holds the monopoly. Under these circumstances that will surely last for at least another year while SU gets their house in order, the patients of Louisiana will continue to suffer. It has been forty (40) years now since Louisiana remarkably became one of the first four states along with IL, NM and FL to have any therapeutic Cannabis program on the books. There is an excellent non-profit dedicated to patients and mmj education called “Patients Out of Time” (https://www.medicalcannabis.com) and to borrow from their moniker, Louisiana patients too are out of time. At SMPL, we think of all the many patients within our state and membership who are currently suffering. They suffer in ways that they certainly shouldn’t have to while they wait for the Louisiana mmj program to get past the decades of delays, overcome the resistance and dysfunction and finally place meaningful medicines on the shelves for them to try. There is no guarantee any of it will work for all of them, but it most certainly will work for many of them and each deserves a chance to try. The only guarantee at this point is that there is a lot more unnecessary waiting ahead. The excellent article below provides another look inside of the Louisiana mmj program and it provides additional important details on the 1/2 of production under the control of Southern University. What it does not yet explain are these things: (1) Why Southern University has allowed their partner, AB, to continue for over a year without showing any tangible signs of progress of any kind – no land, no building, no equipment, no contracts, no staff of any kind, (2) How much longer this non-functioning program will be allowed to continue, (3) Aside from the promised cash to SU that has never materialized, why SU chose AB in the first place or allowed them to continue when none of the benchmarks were met or contracts for any staff or experts were in place, (4) Whether there is any minority ownership or SU alumni involvement in AB, and (5) How the details of the Perret deal to purchase a majority of AB from Castille reveal a “flipping” effort to take control of the contract from one Lafayette area man with no capacity to produce or process mmj and transfer it to another Lafayette area man who similarly has no team in place to cultivate, extract and produce Cannabis medicines for the patients of our state. While all of this festers at the expense of Louisiana’s patients, the SU leadership has thus far done little to nothing to intervene and assert the control that was granted to them by the Louisiana legislature. The legislators and elected officials, thus far, have been willing to look the other way while this situation continues. Meanwhile, all SU would need to do in order to confirm that AB is a “house of cards” in breach of their contract is to request a copy of any of the employment agreements or contracts with any of their alleged team. Doing this would also reveal that AB was wrongly awarded points by the SU review committee for a “team” that only existed on the application papers, but that never actually existed in real time. Thus, SU chose a “team” that had a combined total of zero (0) years of experience in the industry, no capacity or ability to deliver on the promises to the University to produce mmj and, in fact, none of the minority or SU alumni ownership or participation that Southern purported to want in their partnership. That last part is also very damning because the larger national mmj industry suffers from a pitiful paucity of minority and particularly black ownership or even employment (~1-5%) and this was to have been the golden opportunity for the only HBCU in the country with any involvement in the industry to make a real difference in that regard. SU has within it’s reach the ability to hire the best and the brightest in this industry and to train the next generation of Cannabis experts and entrepreneurs. Meanwhile, wealthy white LA republicans with no experience or even any actual interest in mmj (beyond the money) are busy flipping or trying to flip this contract for literally millions of dollars while SU sits idly by and empty handed and the patients are still suffering. Below, this article in the Advocate is the closest we’re going to get for now at a fuller picture of what is happening behind the scenes over at Southern University – a quasi-governmental entity. 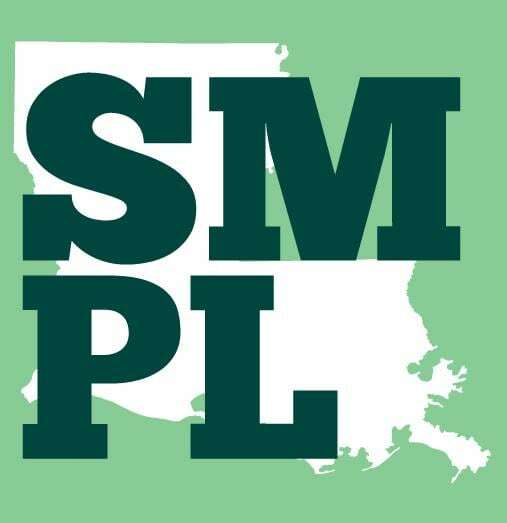 Alas, it appears that Louisiana could still mess up a lemonade stand and so far, Southern itself isn’t making the grade, but rest assured that SMPL is keeping a watchful eye. Norbert Kaminski, a toxicologist who has studied the effects of Cannabis since 1990, has received a five-year, $2.4 million NIH grant to further his research on the role of Cannabis in decreasing brain inflammation in HIV patients. Kaminski and his team will take blood samples from several hundred HIV patients who will report whether or not they use medical marijuana. From there, they will assess various aspects of the patients’ immune system as it may relate to indicators of systemic inflammation. His work also could shed light on inflammation that occurs in other brain-related diseases such as Alzheimer’s and Parkinson’s, with hopes of the research leading to additional therapeutic options. It’s a very interesting research proposal and we’re eager to learn more about it and eventually see the results. SMPL still has concerns about any federally-funded research in this era simply because of the plant material used in conducting any of these studies. NIH-funded research necessarily uses Cannabis from the Mississippi plot which is of notoriously low quality. It does not remotely resemble any available from state-legal mmj pharmacies or dispensaries and it doesn’t resemble the black market supply either. It is much lower in THC, it is regularly moldy and it arrives to any approved researchers only in a pulverized form which appears to be the result of placing whole plant (stems and all) into a food processor. Some scientists have publicly criticized the NIH and DEA for this situation as it unnecessarily compromises the utility of their results and may even put test subjects at risk due to contamination. Nevertheless, we applaud this research and wish Dr. Kaminski all success in this vital research. Everyone’s heard the term “jazz cigarette” before. It’s a ubiquitous little phrase that, in today’s era, is more comical than anything else. It’s a slang term uttered with a smirk that veils its actual meaning: a joint. The term, coined in the 1920s in jazz clubs and brothels where jazz musicians played, was appropriate in its original use. NEW ORLEANS (AP) — Amid concerns about bottlenecks to access, Louisiana regulators agreed Monday to loosen limits on how many medical marijuana patients doctors authorized to dispense cannabis can treat. NEW ORLEANS — Louisiana’s Board of Medical Examiners voted to lift the cap on the number of patients a doctor can treat with medical marijuana at its meeting here Monday.